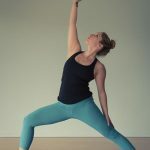 Your yoga mat makes the difference between losing yourself in the ecstasy of movement and the frustration of struggle to keep your hands from sliding off your mat for the millionth time and we haven’t even started Sun Salutations yet! With this in mind, here are five of my favorites when it comes to finding a soul mat. At only 2mm thick and a pound and a half, this Gaiam mat is intended for yogis who like to travel light. Its texture and stickiness is comparable to other economical mats, making it a good companion on your journey through Sun Salutations. The downside is in its intended use as a travel mat. Since it’s designed for form, it lacks function in the way of durability and joint cushioning. The good news, however, is that the thinner mat makes it easier to balance in standing poses. ✓ Great for yogis who need a light, portable mat and don’t require thickness. The Tall & Wide Studio mat by Half Moon is a great fit for long-limbed yogis. Though its 27″ x 84″ dimensions make it longer and wider than average, it’s no heavier, weighing in at only 2.5 pounds. Its waffle texture makes it stick to the floor and your hands, though it’s another thin mat at 4mm thick. Its closed cell surface, while a bit slippery, makes for easy cleaning and good hygiene. ✓ Great for taller-than-average yogis. With its bright colors and original design, this is a fun mat to practice on. 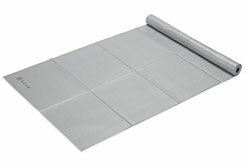 The mat’s texture is a combination of tree rubber base with an ultra-absorbent microfiber top layer. 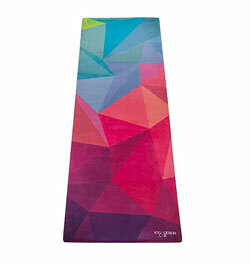 The “combo” part of this mat comes from its yoga mat/yoga towel hybrid design. Its velvet-like texture is both a pro and a con, depending on your practice. On the con side, it can be slippery without a little moisture (sweat) to create adequate grip. 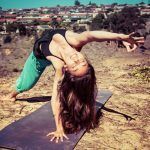 On the pro side, the softness can feel supportive and comfortable in floor-based, long-hold poses, like those found in yin yoga. ✓ Great for stylish yogis who love to sweat or love yin yoga. Some yogis want a mat they can invest in. For those yogis, there’s Manduka. The eKO version of the popular brand is sturdy and durable, with a texture that sticks to the floor as well as it sticks to your hands and feet. eKO mats come in your choice of thickness to offer your perfect amount of support and cushioning and they come in a variety of colors. The biggest complaint about the eKO is its rubbery smell for the first few uses. This is because it’s made of eco-friendly natural rubber and the smell quickly dissipates after being aired out. 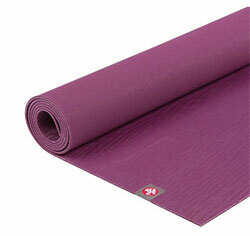 ✓ Great for yogis who value a high-quality, durable mat and don’t mind the initial smell of rubber. A relative newcomer to the yoga mat world, the SügaMat was born as a Kickstarter project with the goals of creating quality yoga mats out of recycled wetsuits. 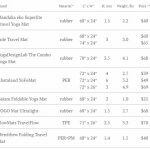 These 5mm thick mats come in regular and extra-large sizes, making it another good option for tall yogis. The neoprene-based mats make for good traction and good hygiene. 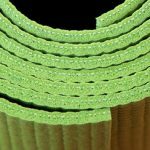 The only fault to these eco-friendly mats is in their heavier-than average weight. Bonus: Donate your used wetsuit for a 10% discount! ✓Great for eco-conscious yogis who don’t mind a heavier mat. 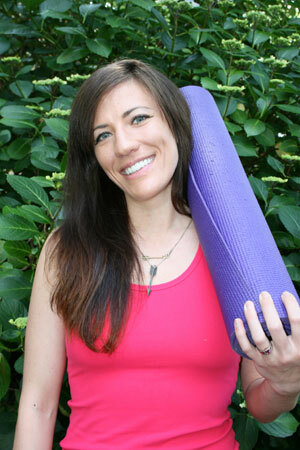 Yoga teaches us that process is just as, if not more, important than outcome. Choosing a mat should be no different. Get curious about your own tastes and preferences when deciding what supports your practice best. Staying in that curiosity is what will elevate what could be “just a yoga mat” to a magic carpet of self-exploration and adventure.